A jewellery box in the drawer gift box style. 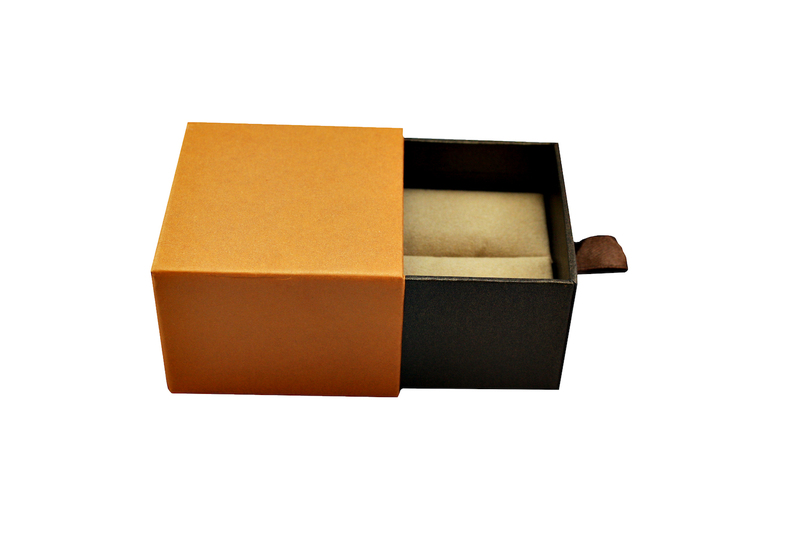 This orange and brown two piece art paper covered cardboard ring box has a leatherette pull which functions to reveal the box's jewellery contents lying comfortably in beige suede. These Light Orange Vogue boxes are covered in light orange and brown paper. The ring boxes are also wide enough to function as cufflink boxes. Packaged in a white cardboard sleeve. Priced to sell.